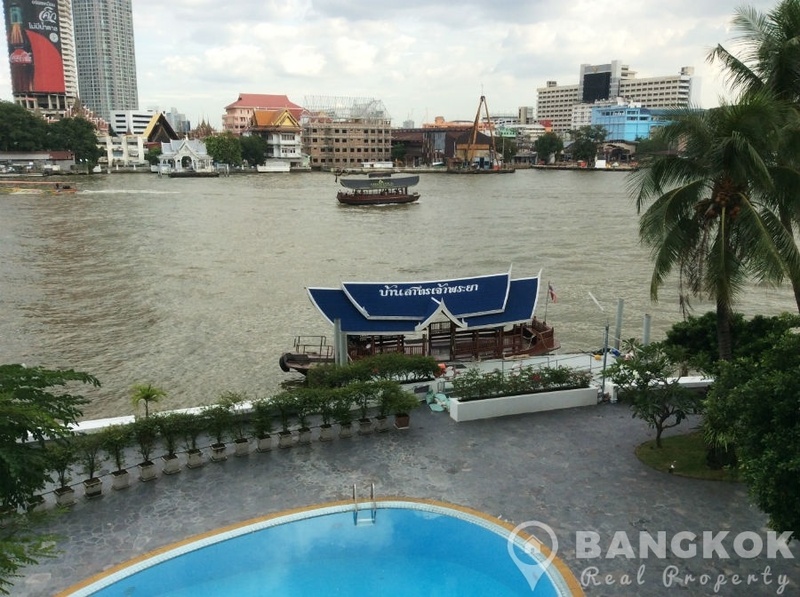 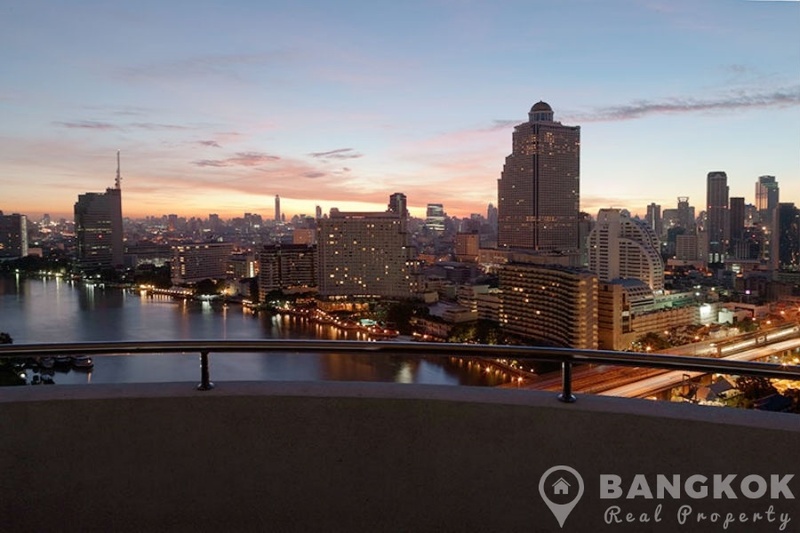 A elegant, renovated, spacious, riverside 2 bedroom condo is now available for sale at Supakarn Condominium located just off Charoen Nakhon Road on the banks of the Chao Phraya River with excellent river and city views. 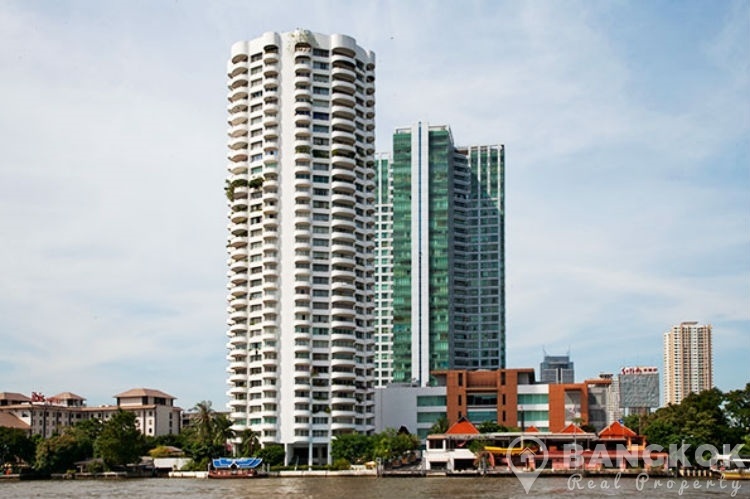 This high rise development rises to 34 floors was built in 1999 has direct river access with a boat to Saphan Taskin BTS and easy to Surasak and Krung Thonburi BTS. 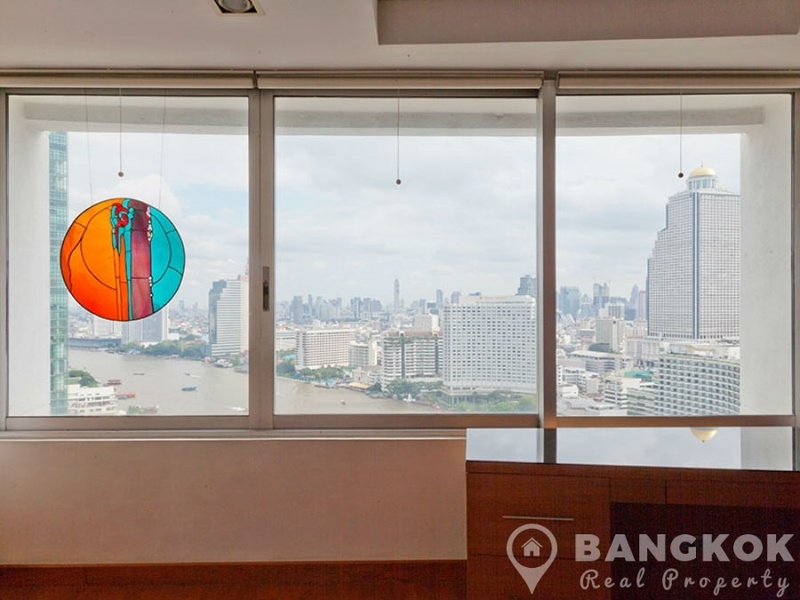 Residents have easy access to The Mandarin Oriental Hotel, Sirocco, Tops @ Robinson Charoen Krung, Sena Fest Mall, Asiatique @ The Riverfront and several international schools including Shrewsbury. 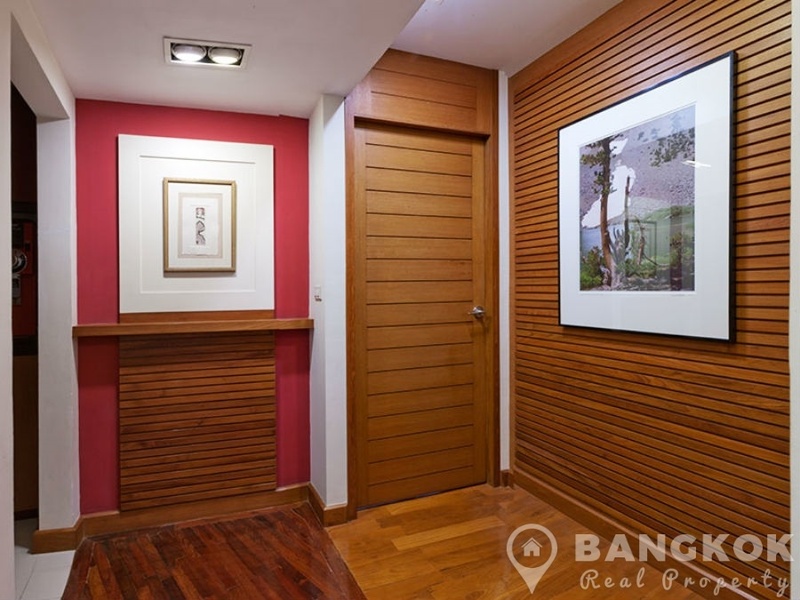 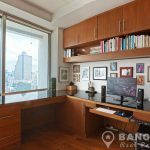 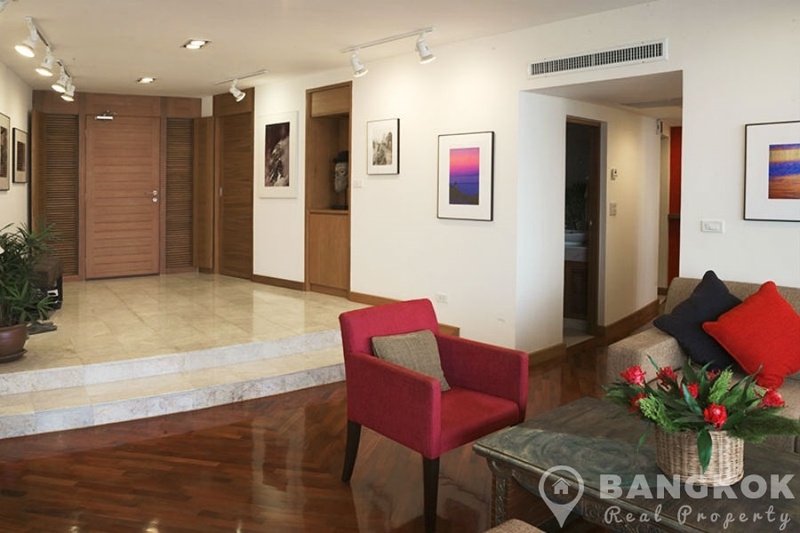 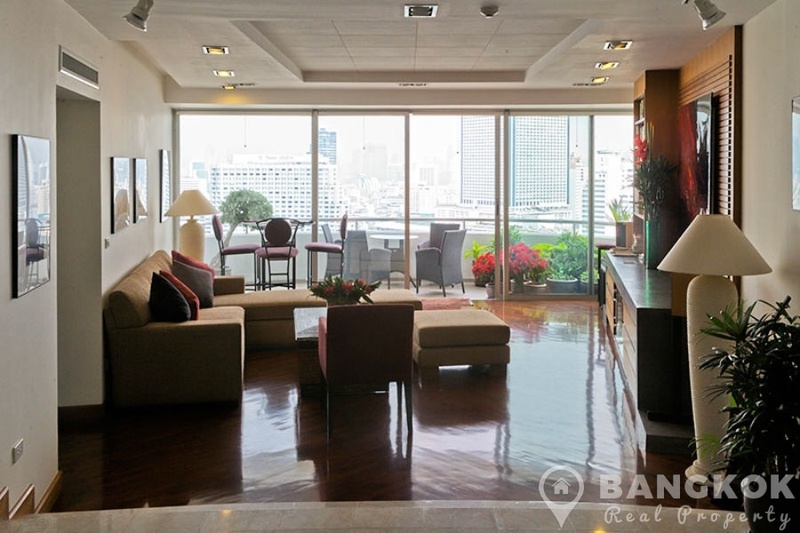 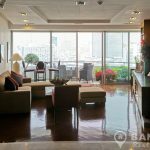 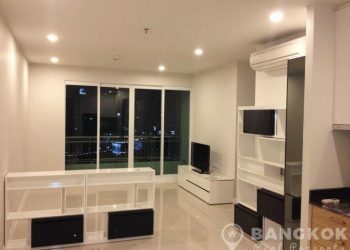 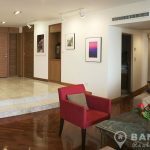 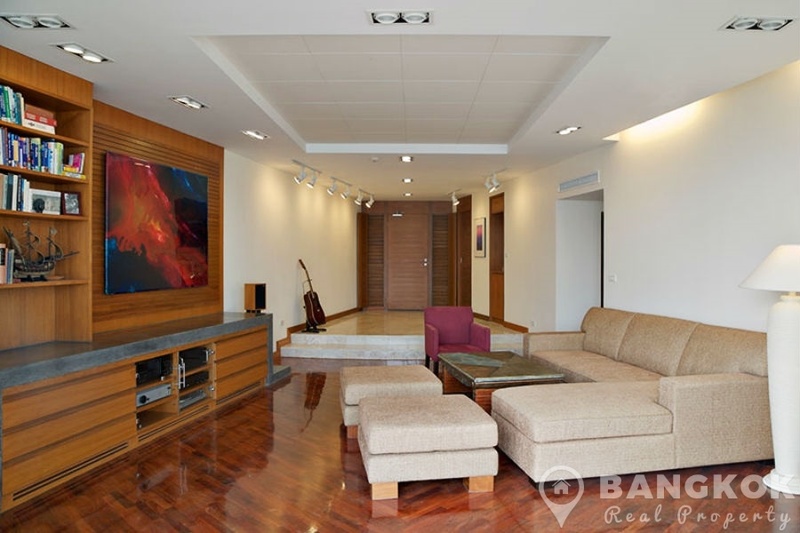 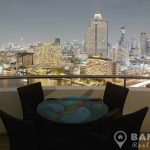 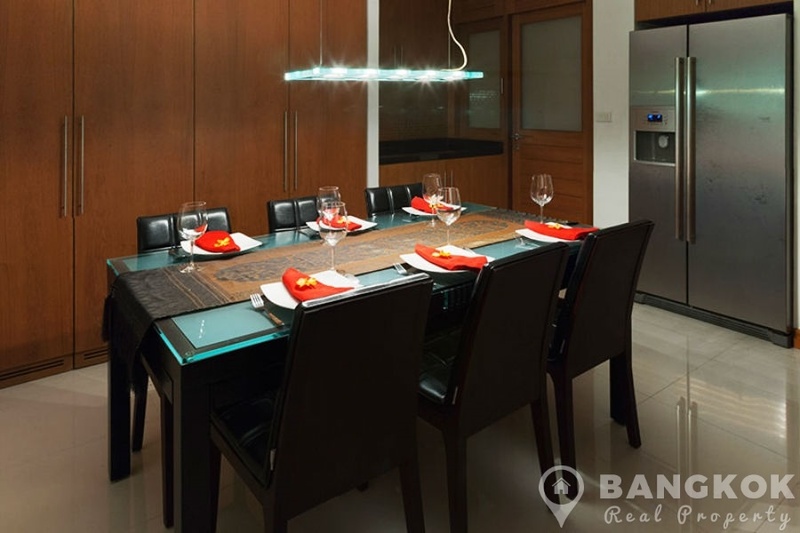 Situated on a high floor of Supakarn Condominium this spacious unit has 2 double bedrooms, 2 modern bathrooms, with hardwood floors throughout and 178 sq.m of living space with 2 large balconies overlooking the Chao Phraya River. 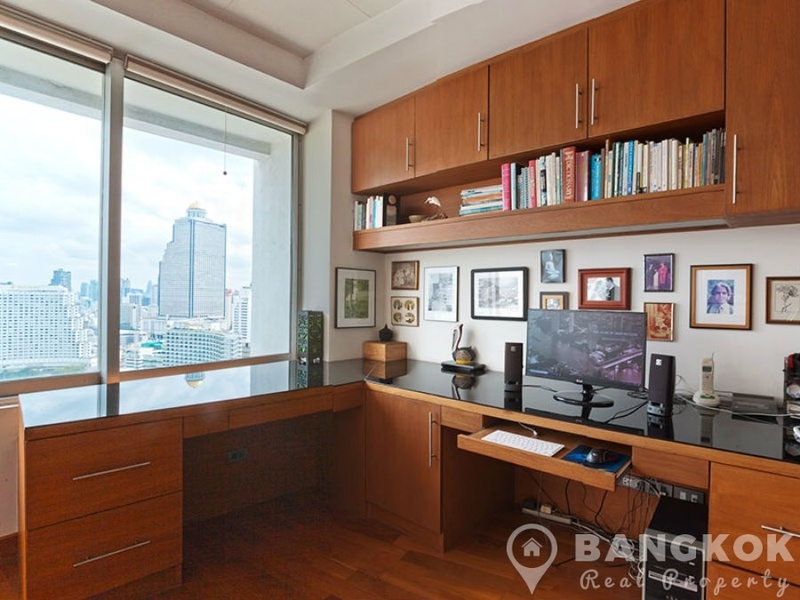 Recently totally renovated by a Bangkok architect, the unit faces North East, avoiding the hot sun during most of the day. 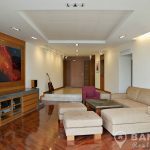 Entering to a bright, airy livingroom with sliding patio doors to the large balcony (suitable for entertaining & dining) with panoramic views of the river.There is a separate, European style kitchen with extensive teak wood kitchen units, granite work tops, built in ceramic electric hob & extractor fan, built in Siemens electric oven, large family sized fridge freezer, built in stainless steel microwave, reverse osmosis water filtration system connected to kitchen sink and fridge freezer water dispenser and an under counter wine cooler. 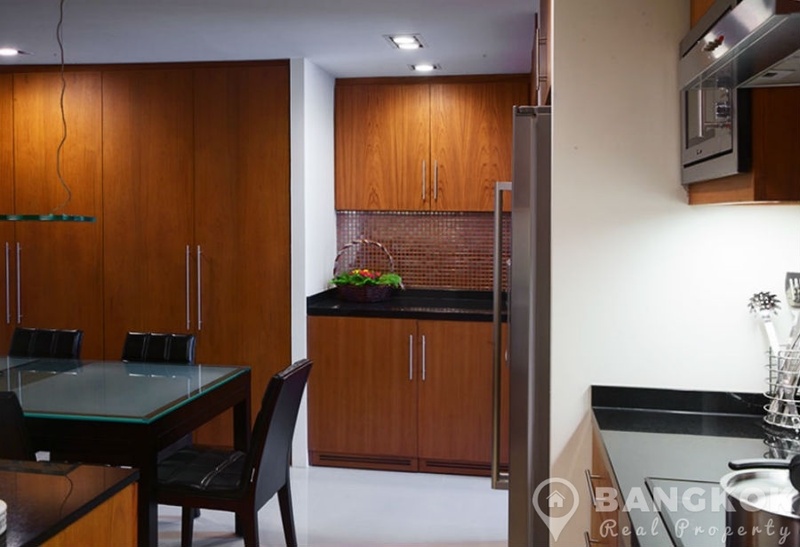 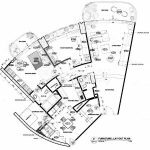 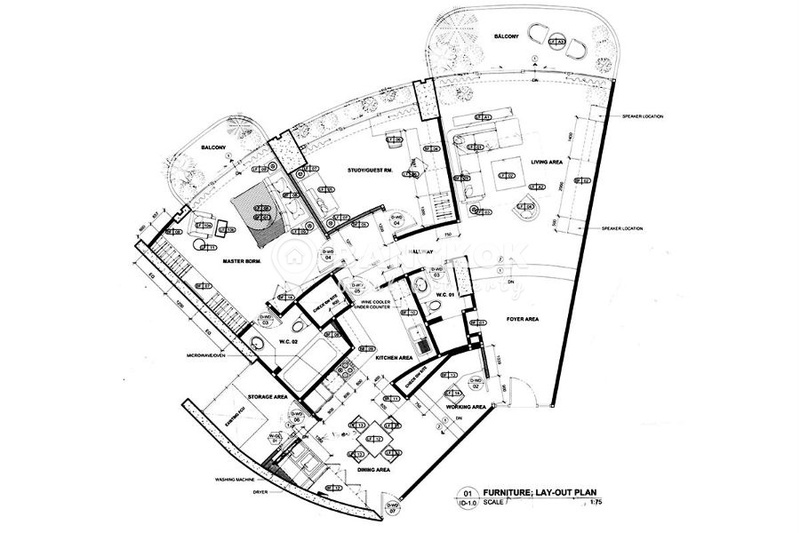 The kitchen has a large dining area and has a washing machine and separate dryer. 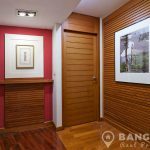 The master bedroom has extensive built in teak wood wardrobes and storage, large windows with access to the 2nd balcony overlooking the river. 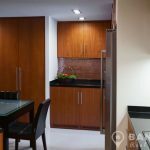 The ensuite bathroom has Grohe bathrooms fittings with a bathtub and power shower. 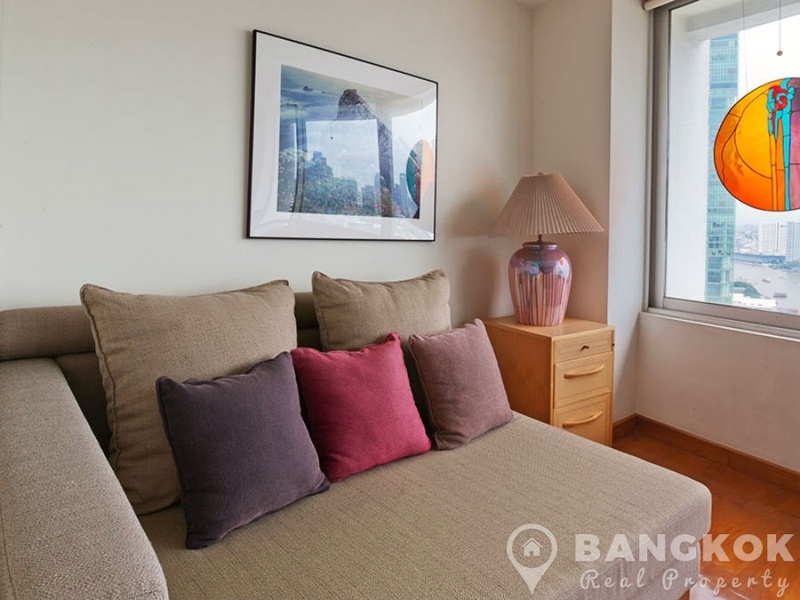 The 2nd bedroom, currently used as a study, has picture windows with views over the river and use the main bathrooms with power shower. 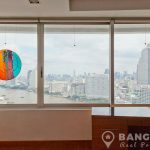 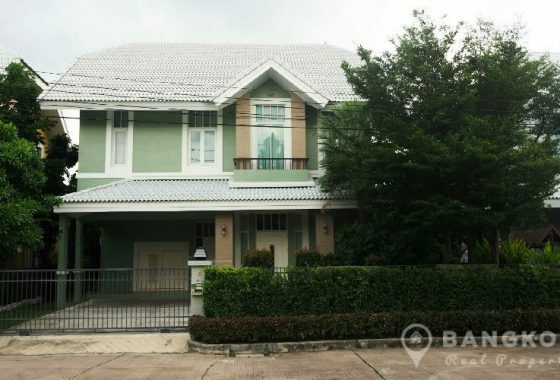 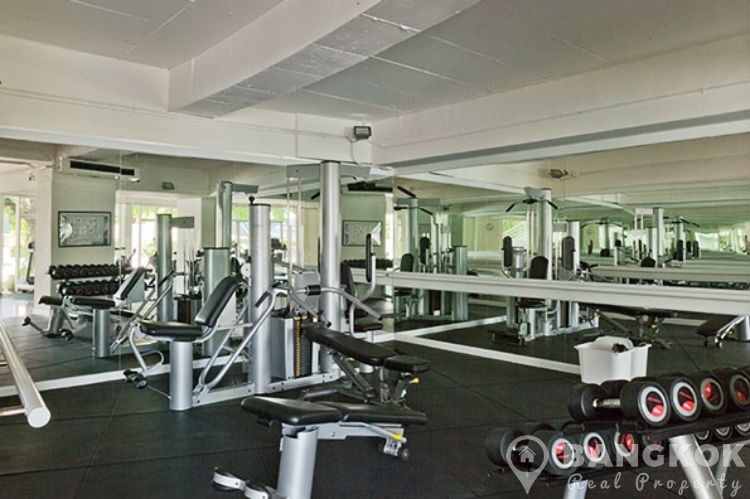 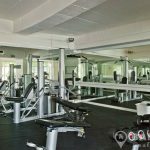 Common area fees are ฿54 THB per sq.m per month (฿83,358 THB per year). 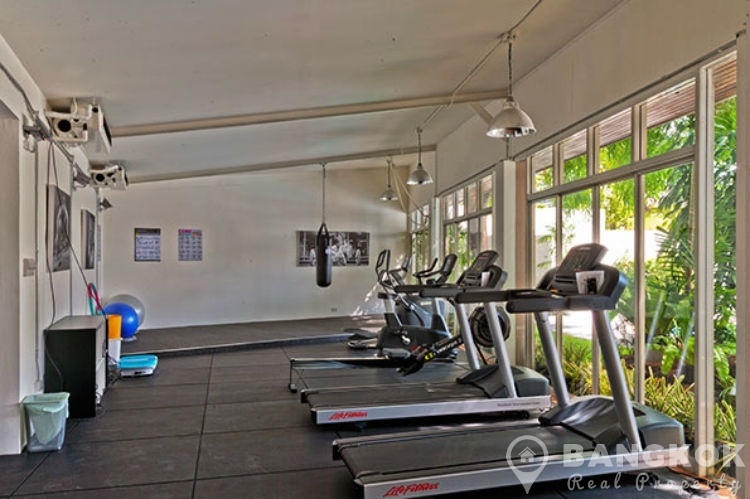 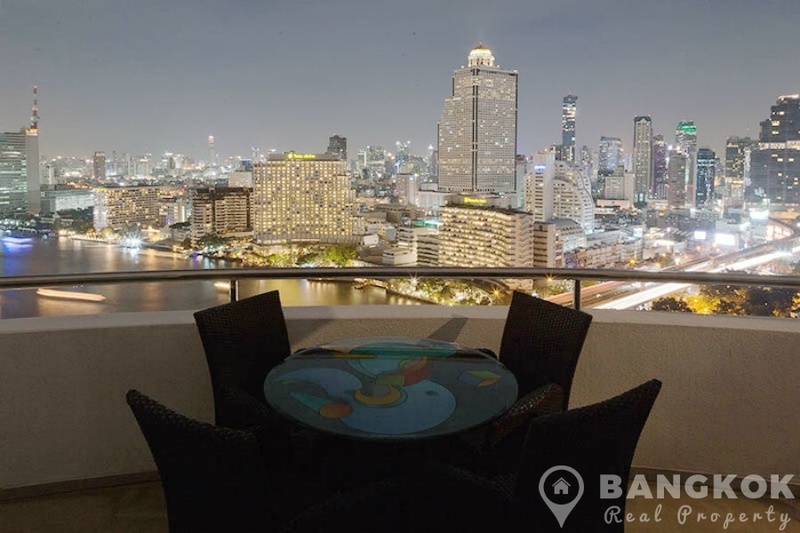 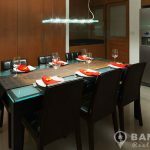 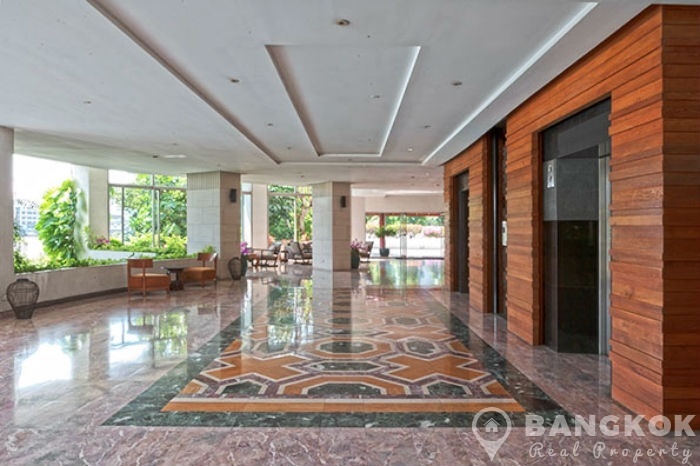 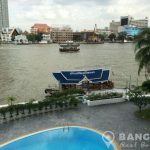 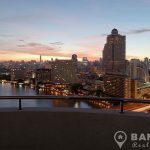 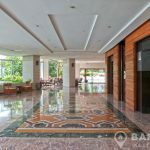 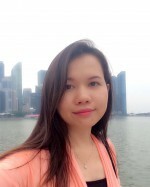 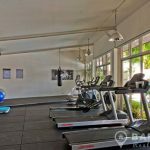 Supakarn Condominium is a condominium project, located on the banks of the Chaophraya River just just off Charoen Nakhon Road with easy access to several BTS stations. 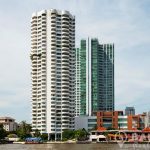 Completed in 1999, Supakarn Condominium is a high rise project which comprises of a single building with 34 floors with 70 large units.